A quiet, shaded haven just across from Tiberias provides some much needed natural therapy. 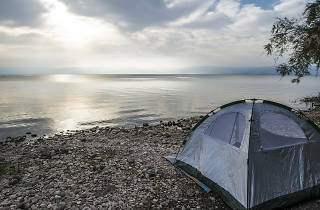 Sussita Beach Campground is located across the lake from Tiberias on the Sea of Galilee. A quiet, shaded haven, eucalyptus trees line the campsite, providing plenty of shade and therapeutic qualities. As there are no numbered camp spots and no reservations necessary, Sussita Beach is a great place to go for a last-minute adventure. 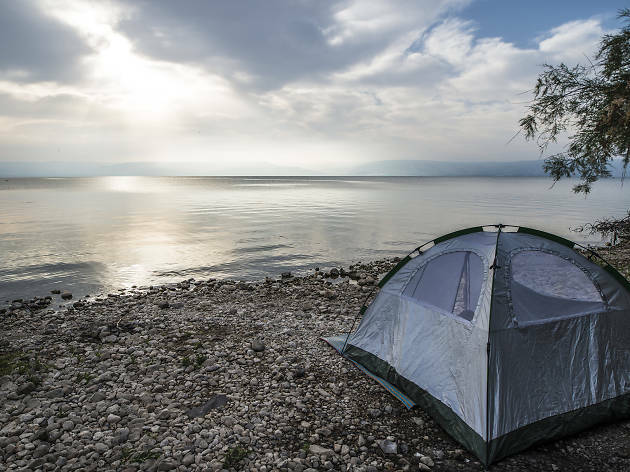 Spend the days lounging in the sun and getting wet in the Galilee. At night, relax around a fire and enjoy the sounds of nature. Located close to the Ein Gev Harbor, there are plenty of attractions in the area for those craving a bit of excitement.